Boating on Raystown Lake and The Perfect Storm? There are days on the water at Raystown Lake that I recall a scene in the movie, “The Perfect Storm”. Captain Billy Tyne is talking to another boat captain, Christine. It goes like this. Some of you know what I am talking about as Raystown Lake has 118 miles of shoreline and is 28 miles long. Maybe you put in at the southern end where the lake is more like a lazy river winding through the mountains or James Creek where you can go back to the Brumbaugh Homestead and party cove. We all have our favorite spots like Pee Wee Island or a cove that you and the family always seems to end up at on your weekend adventures. I have mine but would never tell you about them, you have to find your own. 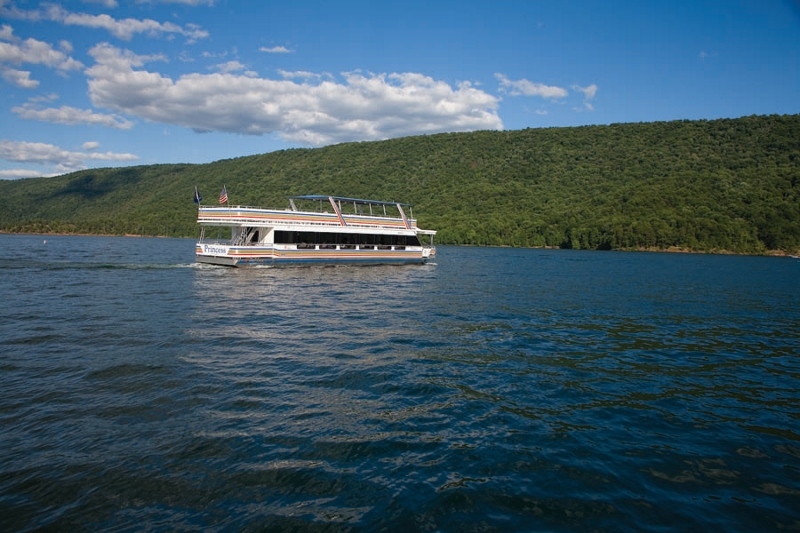 Raystown has about 10,000 acres of water and there is room for you to discover what we all know about this special place, located only one day’s drive from one third of the entire population of the United States. 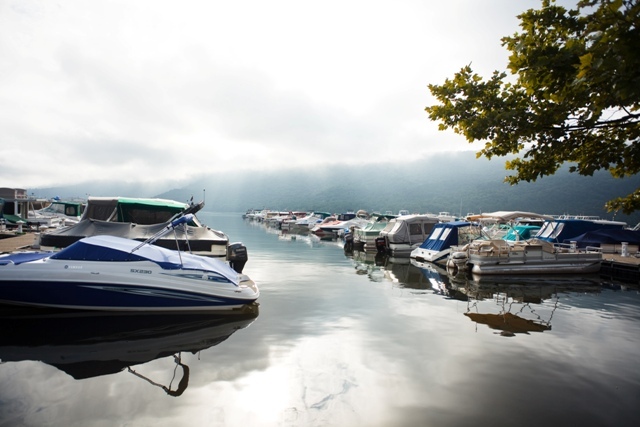 Your vacation or get-a-way is waiting to happen with support from Seven Points Marina, voted as the best marina in the country on the northern end and Lake Raystown Resort on the southern end. The Corps of Engineers at Raystown Lake manages seven (7) boat launches along the length of the 28-mile lake. They are, from the northernmost end to the southernmost end:Snyder’s Run, Seven Points, Aitch, James Creek,Tatman Run, Shy Beaver and Weaver Falls. Check out the Corps of Engineers web site to learn more and to get directions. Everybody seems to write about their vacation spot as being special, I suppose, and claim it only rains at night and everyone is always happy and the food explodes in your mouth with flavor. Ok, I get it, everyone wants you to visit. All I know is that there are times when I throw out the bow and the stern line and head out past the wave break. Then comes the public beach and I blast the air horn at the kids playing in the water. We head north toward the dam, push it up to 22 and we’re throwing a wake now. The sun hits the water and it seems to come alive, dancing in front of us to the sound of the radio playing softly in the background. We pass jet ski’s and cruisers, and everyone seems to be enjoying the day. Water people always seem to be at their best when they are on the water again. Way back in the no wake zones people either tie up together with friends or stay by themselves. There is plenty of room for everyone.I ask the mate for another beverage and our guests are busy enjoying their first glimpse of the Lake aboard the tour boat, The Princess. Ya know what? I’m a tour boat captain on Raystown Lake. Is there anything better in the world? About the author: For the past five years Steve has been the Captain of the tour boat, The Princess that docks at Seven Points Marina. He is a United States Coast Guard licensed captain, 100 tons. Although he has a BA in religious studies, along with a masters degree in Education and another masters degree in Business, water is his first love. In a world where people are too often bogged down with responding to emails and jumping on their next conference call, it’s refreshing to know that retreats like the Raystown Lake Region exist. As a transplant to Huntingdon County, I quickly found that the natural beauty of the area makes it nearly impossible not to close your laptop, go outside, and get happy. If getting outside is your goal, there are a plethora of things to fill your time and your spirits. I’m a firm believer that a family that paddles together stays together. 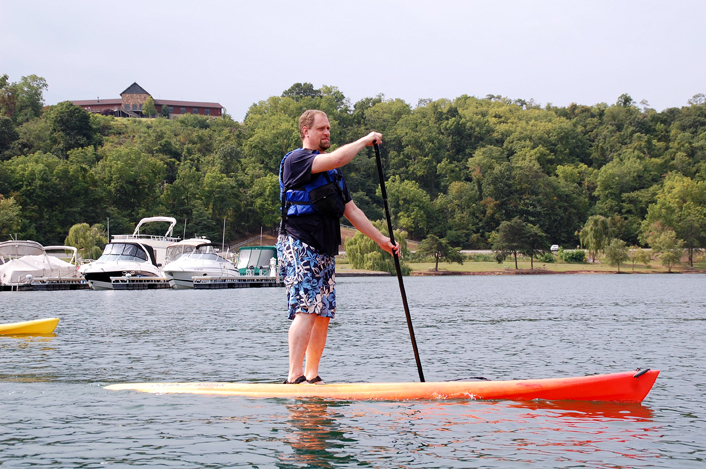 That said, if you haven’t tried it, I highly recommend renting a few Stand Up Paddleboard (SUP) from Rothrock Outfitters, Seven Points Marina or the Lake Raystown Resort, Lodge and Conference Center and getting out on the water for a sunset paddle. The views are breathtaking and the time that you get to spend unplugged with your family is invaluable. For Yogis visiting the lake, there’s nothing like performing sun salutations on a SUP as the sun peeks over the mountains to take your practice to the next level. For those visiting the area that prefer to stay on dry land, taking a walk, run, or bike ride on the 2.5 mile Greenside Pathway is an enjoyable way to spend the afternoon. The pathway connects 19 different recreation facilities and is composed from 100% recycled tires, which means that your run, ride, or walk will not only be convenient, but comfortable. Win-win, right?! If getting out of your comfort zone and into the woods is more your speed, then grab your GPS and take to the trails and surrounding area for a Geocaching adventure! For those unfamiliar with Geocaching, it is basically a real life, outdoor treasure hunt. Several caches have been placed by Juniata College in partnership with the Corps of Engineers around the Seven Points Recreation Area. Each site has a set of GPS coordinates that indicate where a local geocache is hidden. Using a GPS enabled device, the adventurer navigates themself to the coordinates and then searches the site for a hidden Geocache (container). A list of local Geocaches can be found at http://www.geocaching.com. When you’re visiting the Raystown Lake Region, go outside, explore all that our region has to offer, and get happy. Tour the local waters by SUP, keep it low-key with a stroll along the Greenside Pathway, and go adventuring for Geocaches. The biggest risk that you’ll take is the possibility that you may never want to leave. 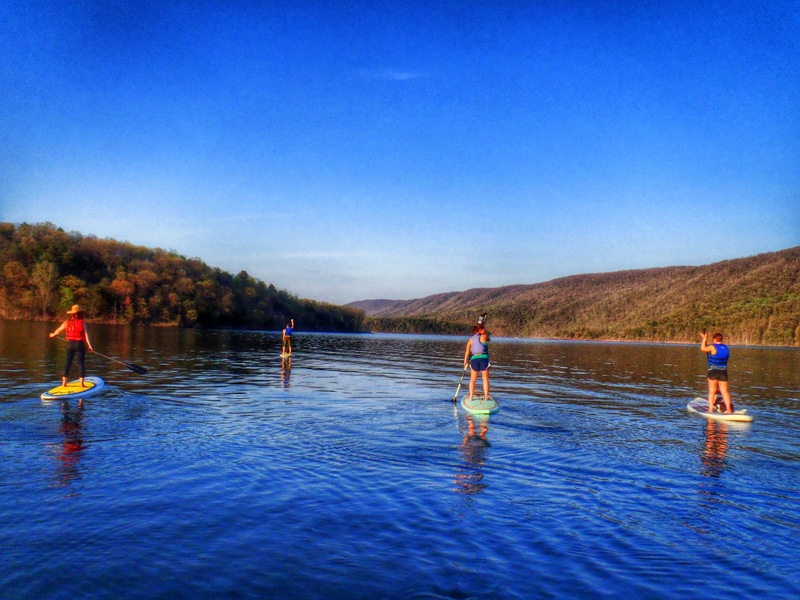 Bobbi and a group of friends enjoy an evening of paddleboarding on Raystown Lake. About the author: Trailblazer. Raconteur. Adrenaline junkie… “Carpe Diem!” Bobbi is a mom, wife, and Juniata College graduate currently living life to the fullest in Huntingdon County, PA.
Fireworks on the Lake at Lake Raystown Resort Lodge and Conference Center, Entriken, PA. Photo by Kevin Mills, picturesbykevin.com. 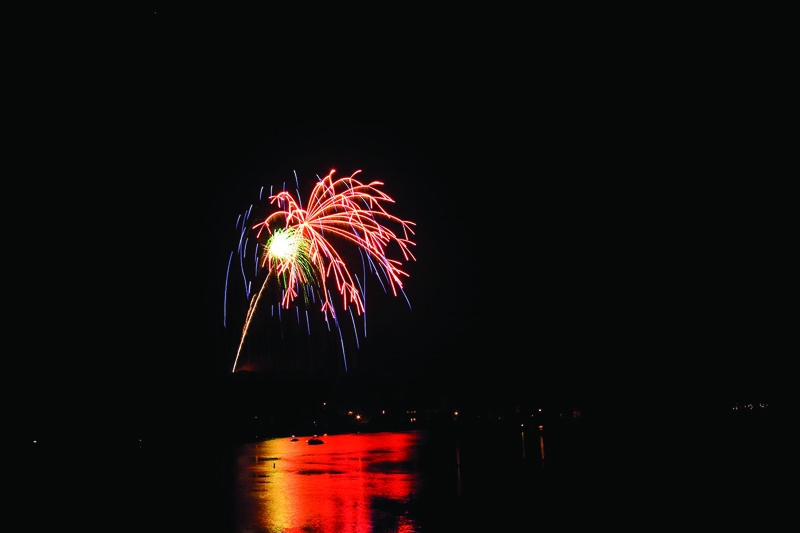 With Independence Day falling on a Wednesday, the Raystown Lake Region will be celebrating all week with fireworks displays, beginning tonight, Sunday, July 1st, at the Lake Raystown Resort Lodge and Conference Center after dusk (9:00 PM-ish). If you don’t want to find a place to park to watch them (it’s illegal to stop on Route 994 in the area of Entriken Bridge), and you aren’t confident enough to boat at night, Seven Points Marina still has tickets to view them from the deck of The Princess Lake Cruiser. 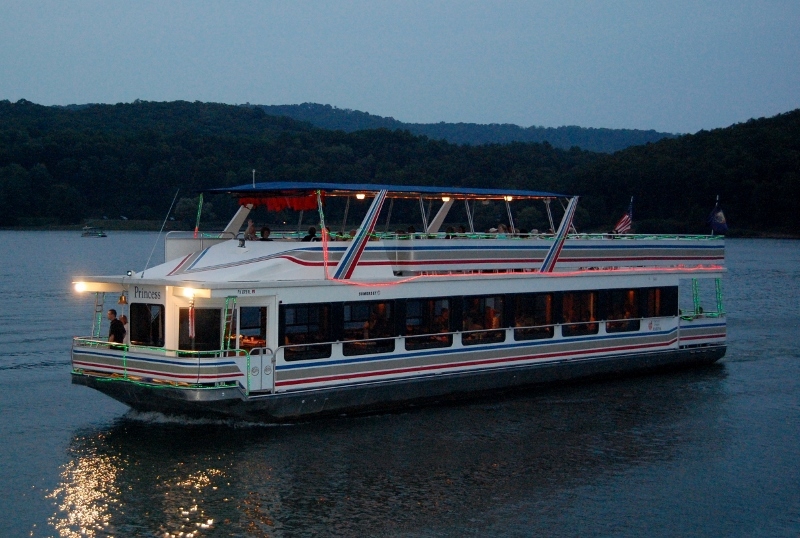 The cruise on The Princess departs from the marina at 7:00 PM. A limited number of tickets are still available. We recommend calling 814-658-3074. ASAP to reserve. Also tonight, tomorrow night, and Tuesday night, the State College Spikes Minor League Baseball team will be having fireworks displays following each game in their series versus the Batavia Muckdogs. 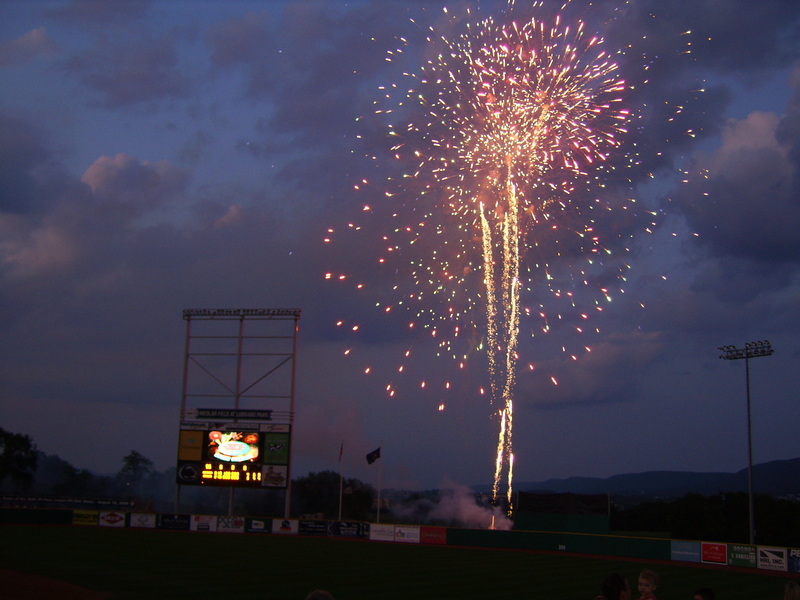 Game times are 6:00 PM tonight, and 7:00 PM on Monday and Tuesday at Medlar Field at Lubrano Park, on the Penn State University campus, State College, PA.
Tuesday night, July 3rd, also brings a community fireworks display to Huntingdon. The fireworks are launched from atop Flagpole Hill, and visible from nearly everywhere in Huntingdon Borough and Smithfield Township. For those of you not familiar with Huntingdon, Flagpole Hill is located at the top of 5th Street (look for the giant American Flag). Of course the actual Independence Day holiday falls on July 4th, and that’s when the big mortars come out. Working from South to North along Interstate 99, look for the Independence Day Firestorm fireworks display at Altoona’s Lakemont Park, and another display following the Altoona Curve Minor League Baseball game against the Reading Phillies at PNG Field, Altoona. One of the largest, most renowned, professional fireworks displays in Pennsylvania happens at DelGrosso’s Amusement Park with its annual Summer Thunder 4th of July Fireworks. Farther north on Interstate 99, State College’s Central PA 4th Fest will be happening in the area of Medlar Field at Lubrano Park and Beaver Stadium. This display is the largest all-volunteer fireworks display in the world. The fireworks don’t end with Independence Day, though. The Altoona Curve will have fireworks following each game against the Reading Phillies, July 4th, 5th, and 6th, and Saturday and Sunday night games against the Binghamton Mets. Game times on Wednesday-Saturday are 7:00 PM and Sunday at 6:00 PM. If you were counting, that’s 13 fireworks displays in 8 days, including at least one every night! Be safe, have fun, and don’t drink and drive or drink and boat! Publisher’s Note: As we kick off another summer season with Memorial Day Weekend, we thought it would be a good time to share an excerpt from our 2002 Raystown Lake Region/Huntingdon County Visitors Guide. We are proud to offer the largest lake within the state. With it’s 118 miles of shoreline, 8,300 acres of clean, clear water and 30 miles (as a bald eagle flies) of lake, there is plenty of room to enjoy all kinds of water activity. What most people like about the lake is that except for just a few miles that are developed, nature’s beauty is the backdrop. The US Army Corp of Engineers manages the lake; they operate campgrounds in the Seven Points Recreation Area, Nancy’s Camp and Susquehannock. Eight launch ramps are available for boaters, the lake has no size or horsepower restrictions, and personal watercrafts are welcome. Picnic Pavilions are available for rent and weekend events are provided at the Seven Points Amphitheater. Hiking trails have been developed in 4 areas of the facility. 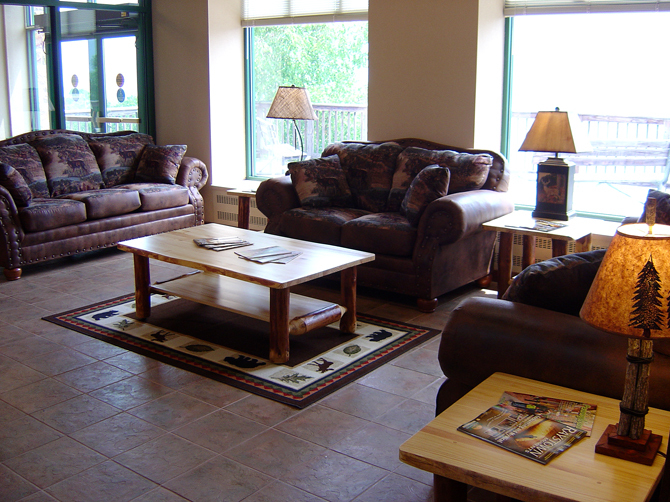 There are four private concessions on the lake, which offer a wide range of services including camping, restaurants, marinas, amusements, entertainment and accommodations. Shallow water is really not an issue for general running on the lake, the average depth is 80 feet, and some have graphed depths upwards of 200 feet. Although some structures do exist, the rumor that a town was flooded is just that, a story. For swimmers, skiers and personal watercraft users, wet suits are common until the end of May, beginning of June. In July and August surface temps are 75-80 degrees. 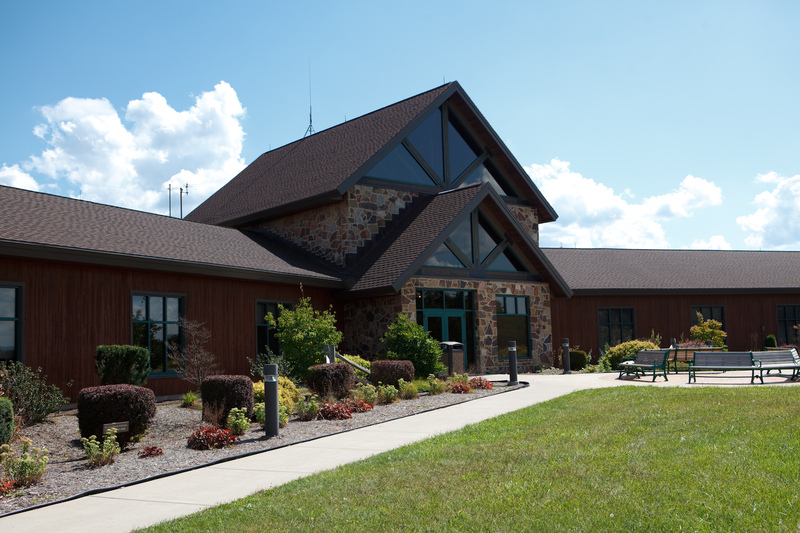 Visit the Raystown Lake Visitors Center in the 7 Points Recreation Area for more information, plus a gorgeous view of the lake! The PA Fish and Boat Commission enforce rules and regulations; a license is required for all motorized vessels. Persons using Personal Watercraft must have a certification. All sizes of boats are welcome on Raystown Lake; there are no restrictions of horsepower. During the busy weekends in July and August, it is suggested that those using small boats consider using Weavers Falls, Aitch, James Creek and Snyders Run areas, which have easy access to the abundant no-wake areas. There are 8 public boat launches, since our lake rarely freezes completely; boaters can usually enjoy the lake year round. Boat rentals, and launch and park services are available at the marinas; water trampolines are also available. The US Army Corps of Engineers no longer charges a launch fee at the 8 public launch ramps. The public beaches at Seven Points and Tatman Run at Raystown Lake offer refreshing relief on a dog day afternoon. For those who boat, we encourage swimming in the “no-wake” areas, rather than the main stream. Three of our state parks offer swimming as well. Greenwood Furnace State Park offers a 300 foot sand beach on Greenwood Lake from Memorial Day to Labor Day. 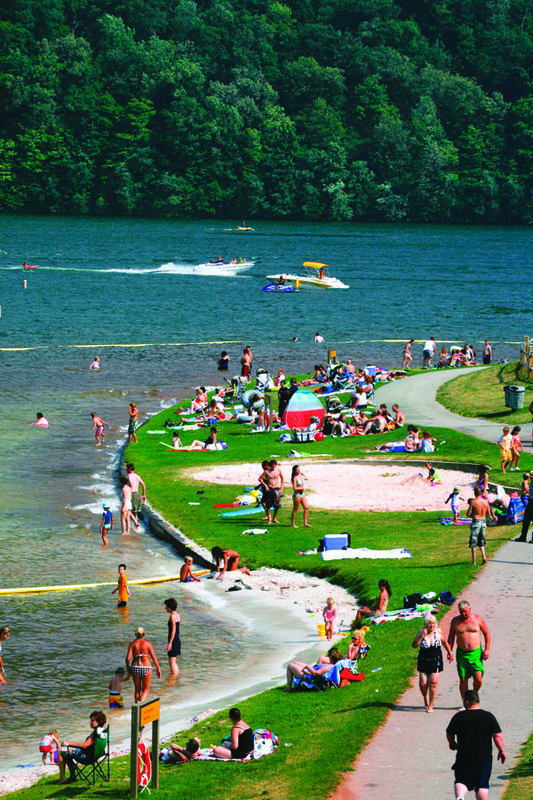 Whipple Dam offers guarded beaches and cool waters for swimming in a beautiful environment. Cool off in our clean water resources! 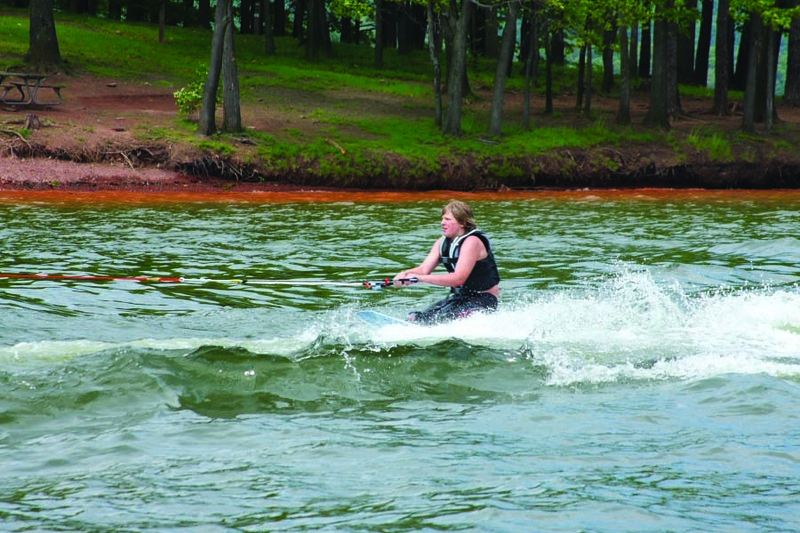 Water Ski Magazine recently named Raystown Lake as a water ski haven. On the Lake, serious skiers find glass! For those with little time to explore, try the mountainside of the lake between mile markers 25 & 26; 10 & 8; 4& 2; 2&1. You’ll find the best skiing during the week, and on weekends try VERY early morning and after 5pm. 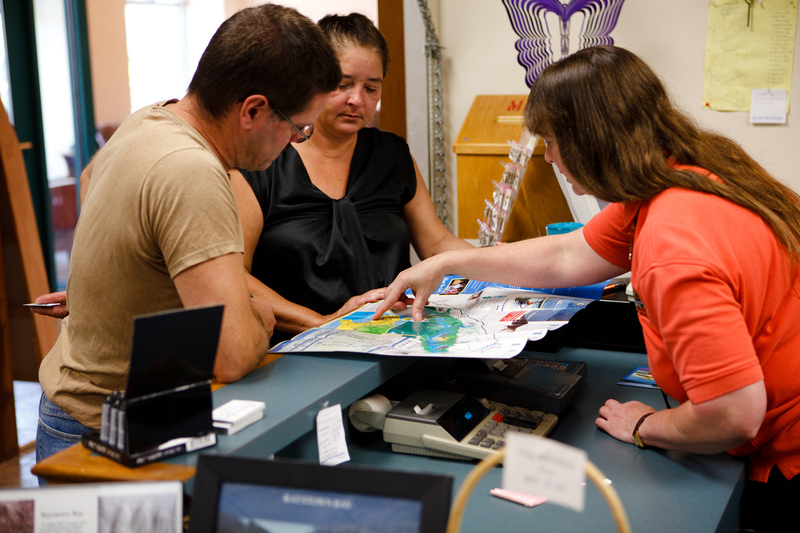 Ski and toy rentals are available at the boat dealers around the area, just use the guideto find your options. Spring is Springing into Some Summer! Both marinas on Raystown Lake open this weekend for the season with 51 degree surface water temperature and air temperatures in the high 60’s Saturday, and near 80 on Sunday! Couple that with unseasonably clear water, beautiful spring foliage, and fantastic trails, great trout fisheries on the opening day of the season, and it all adds up to a great weekend to head to the Raystown Lake Region! Stop in at the Visitors Center for ideas of what to do and where to go, and to check out our new merchandise for the summer! Plus there are more than 20 events happening this weekend. If you can’t make it this weekend, give us a call to plan your future visit at 1-888-729-7869. Thanks, and have a fantastic weekend! 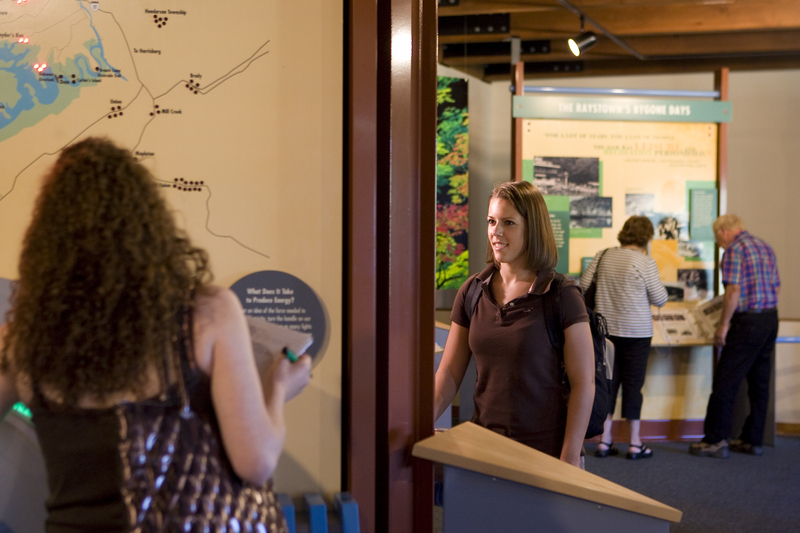 Raystown has about 8,300 acres of water and there is room for you to discover what we all know about this special place, located only one day’s drive from one third of the entire population of the United States. Your vacation or get-a-way is waiting to happen with support from Seven Points Marina, voted as the best marina in the country on the northern end and Lake Raystown Resort on the southern end. The Corps of Engineers at Raystown Lake manages seven (7) boat launches along the length of the 28-mile lake. They are, from the northernmost end to the southernmost end:Snyder’s Run, Seven Points, Aitch, James Creek,Tatman Run, Shy Beaver and Weaver Falls. Check out the Corps of Engineers web site to learn more and to get directions. All I know is that there are times when I throw out the bow and the stern line and head out past the wave break. Then comes the public beach and I blast the air horn at the kids playing in the water. We head north toward the dam, push it up to 22 and we’re throwing a wake now. The sun hits the water and it seems to come alive, dancing in front of us to the sound of the radio playing softly in the background. We pass jet ski’s and cruisers, and everyone seems to be enjoying the day. Water people always seem to be at their best when they are on the water again. Way back in the no wake zones people either tie up together with friends or stay by themselves. There is plenty of room for everyone. I ask the mate for another beverage and our guests are busy enjoying their first glimpse of the Lake aboard the tour boat, The Princess. Ya know what? I’m a tour boat captain on Raystown Lake. Is there anything better in the world? For the past five years Steve has been the Captain of the tour boat, The Princess that docks at Seven Points Marina. He is a United States Coast Guard licensed captain, 100 tons. Although he has a BA in religious studies, along with a masters degree in Education and another masters degree in Business, water is his first love.